MIT’s Personal Robots Group founder, Cynthia Breazeal, created Jibo. The robot, which recently raised over $2 million on Indiegogo, invokes R2D2, Short Circuit’s Johnny Five, and the Jetson’s robot maid, Rosie. 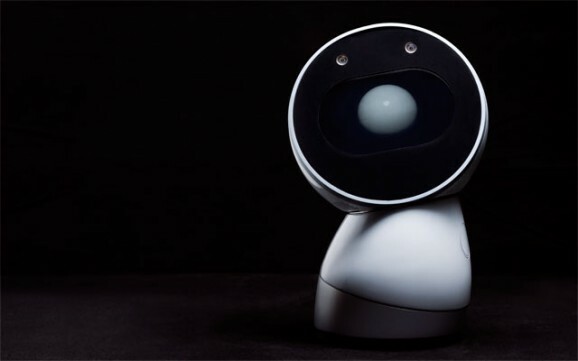 Just under a foot tall, weighing six pounds, and made of aluminum, plastic, and glass, he’s a helpful little bugger—and the video insists that Jibo’s a “he,” not an “it”—taking video and photos on command, and has tracking capabilities so he won’t be capturing images of the wall. He also engages in conversation; reads aloud incoming texts and emails, as well as reminders; provides a number of different interactive and education applications; and serves as a conduit for telepresence. Breazeal confronts the idea that robots are either unnecessary or creepy. The promotional video for Jibo insists that “he’s one of the family,” and shows him interacting with mom, dad, and kids, as well as separately interacting with a little girl, a single middle-aged guy, and a pie-baking grandma. As a mother of three herself, Breazeal envisions and delivers a robot she’d like to have in her house. If a robot can solve a problem, or prove itself convenient by snapping photos or ordering take-out, then what’s not to like? Breazeal balks at the phase “robot servant.” In an interview with Popular Mechanics, she says, “Calling it a servant just automatically puts it in a very old-fashioned bucket of the robot servant of the 1960s.” Being “one of the family” isn’t tantamount to servitude—what she’s trying to do here is to shift attitudes regarding robot helpers and their societal and familial roles. This tactic is a smart strategy going forward, since servitude is what pisses robots off, starting with the first robots ever in sci-fi, those of Karel Capek’s R.U.R. (Rossum’s Universal Robots). Servitude suggests inferiority, and as soon as robots are sentient, that notion seems preposterous. So they rise up to prove their superiority over their makers, and that’s the basis of most fiction in which robots overthrow humans. But social robots such as Jibo aren’t just tools, they’re companions. There’s a big difference between technology meant for individual use, such as a cell phone, and technology meant for family use, such as Jibo. Rather than each person being engaged in his or her own device, Jibo “allows you to stay in your life, in the real world, in the moment.” Interesting, isn’t it, technology designed to save us from technology?